On the sixth day of Christmas, my true love gave to me: six geese-a-laying, five golden rings, four calling birds, three French hens, two turtle doves, and a partridge in a pear tree! Since eggs symbolize new life, the geese stand for the six days of creation described in Genesis. 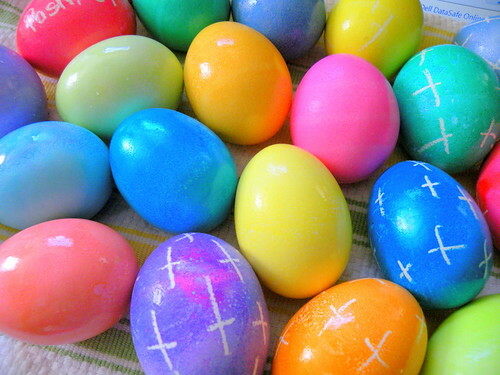 They suggest that we decorate eggs with nontoxic markers or crayons. I don’t think I’ll celebrate in quite this way, as I associate all egg decoration with Easter, but I did have eggs for breakfast this morning. Does that count?